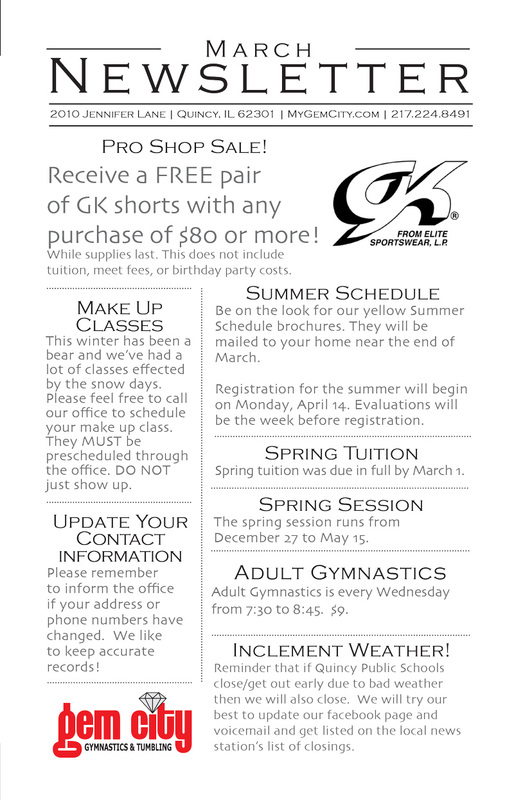 March 2014 Newsletter — Gem City Gymnastics & Tumbling, LLC. We’re crossing our fingers and hoping that spring has actually arrived this month! Below is Gem City’s March newsletter.